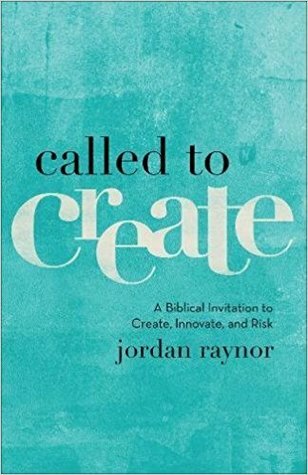 Called to Create: A Biblical Invitation to Create, Innovate, and Risk by Jordan Raynor was published on November 7th, 2017 by Baker Books. Synopsis: We were created by an infinitely creative God to reflect his love and character to the world. One way we do that is by continuing his creative work. In this energizing book, serial entrepreneur and bestselling author Jordan Raynor helps artists, entrepreneurs, writers, and other creatives reimagine our work as service to God and others, addressing such penetrating questions as – Is my work as a creative really as God-honoring as that of a pastor or missionary? To answer these questions, Raynor shares compelling stories from an eclectic group of 40+ Christian entrepreneurs, including the founders of TOMS Shoes, Charity: Water, Chick-fil-A, In-N-Out Burger, Guinness, HTC, and Sevenly, as well as nontraditional entrepreneurs such as C. S. Lewis, Johann Sebastian Bach, and J. R. R. Tolkien. Raynor’s “show” rather than “tell,” story-driven style makes you feel as if you are sitting at the feet of some of the godliest and most successful entrepreneurs of all time. Perfectly poised to reach today’s growing creative class, this unique work restores God’s position as the first entrepreneur, helping readers see the eternal value in the work they do today..
About the author: Jordan Raynor is a serial entrepreneur and bestselling author who leads a growing community of Christians following God’s call to create. He currently serves as the CEO of the venture-backed tech startup, Threshold 360. He is also a cofounder of Citizinvestor, the world’s largest crowdfunding platform for government projects. His book Startup Stories debuted in the #1 bestseller spot in multiple Amazon categories, including entrepreneurship and Christian business. Jordan has twice been selected as a Google Fellow and served in the Bush White House in 2006. He lives in Tampa, Florida, with his wife and their two young daughters.